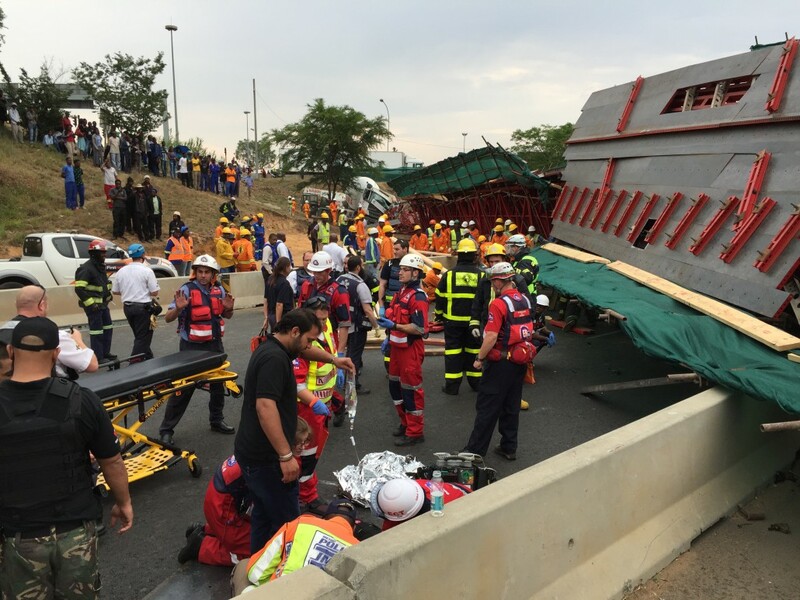 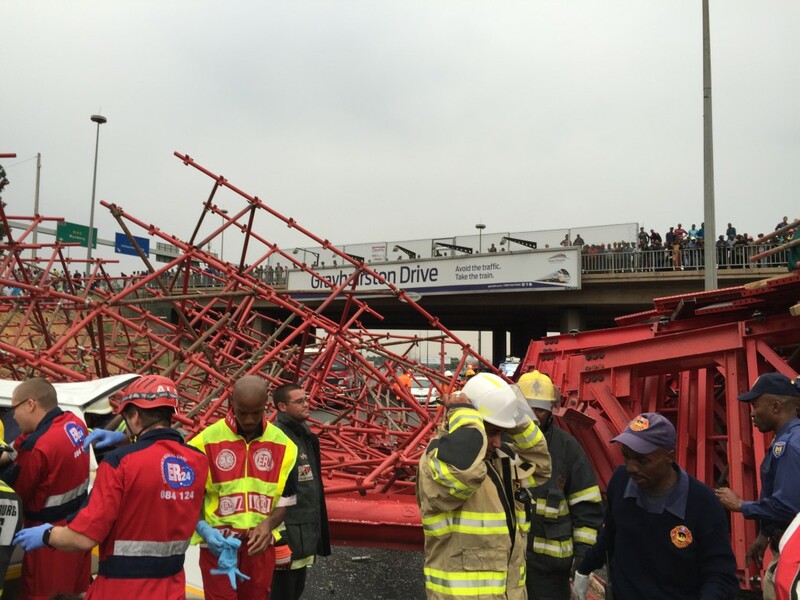 The pedestrian bridge under construction across the M1 highway in Sandton has collapsed, falling on at least one car. 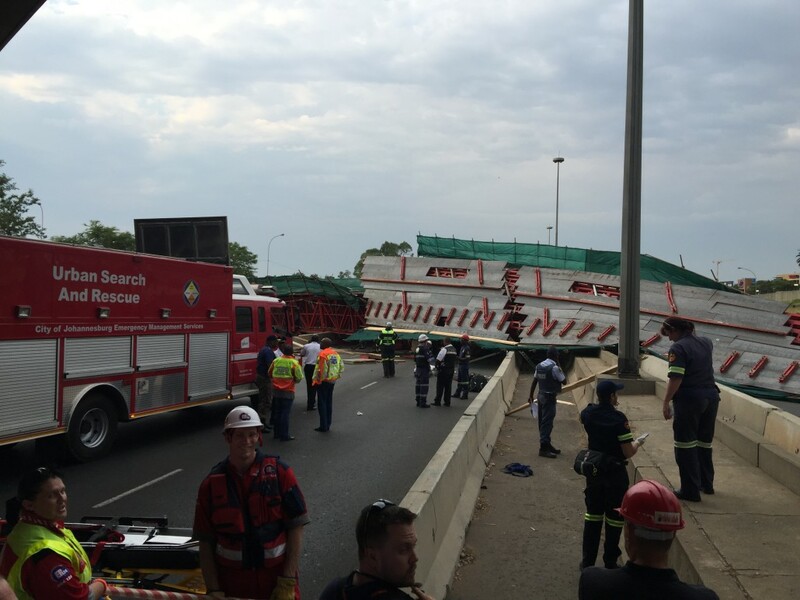 Paramedics have confirmed that at least two people have died. 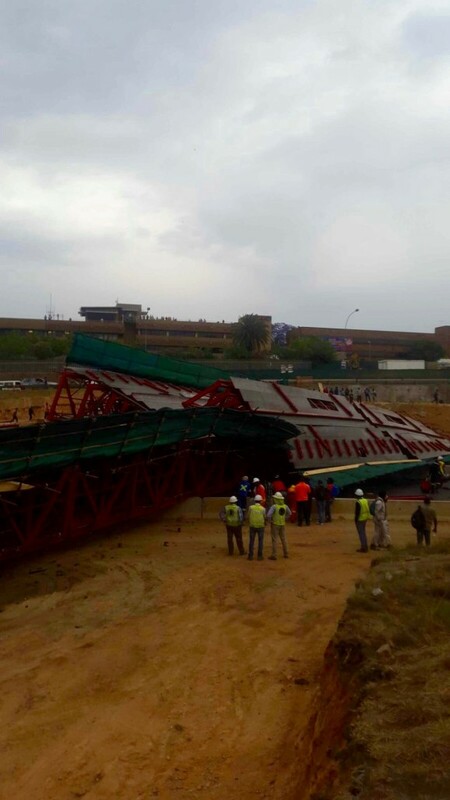 The collapse of the bridge happened as the City of Johannesburg promoted the Ecomobility World Festival which encouraged motorists to park their cars, cycle, walk and use public transport to get around Sandton. 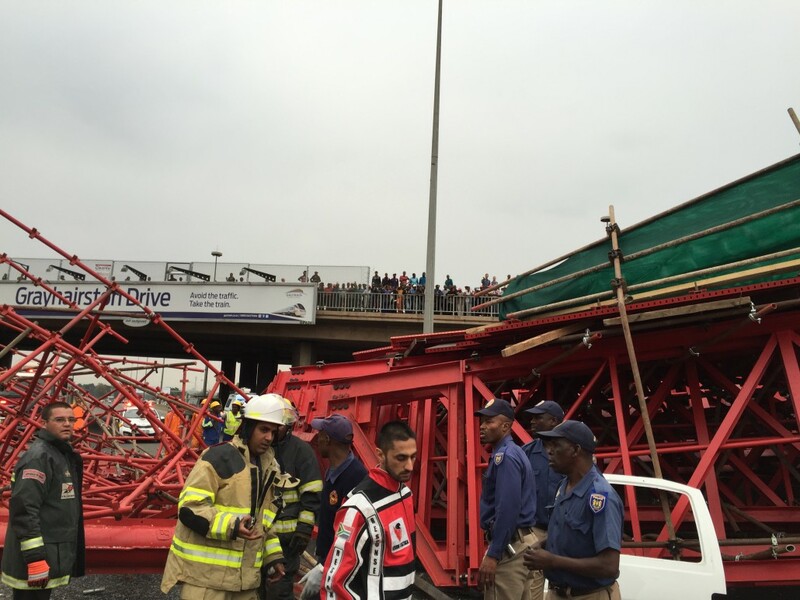 A motorist told Eyewitness News that he saw the structure crash onto the car behind him. 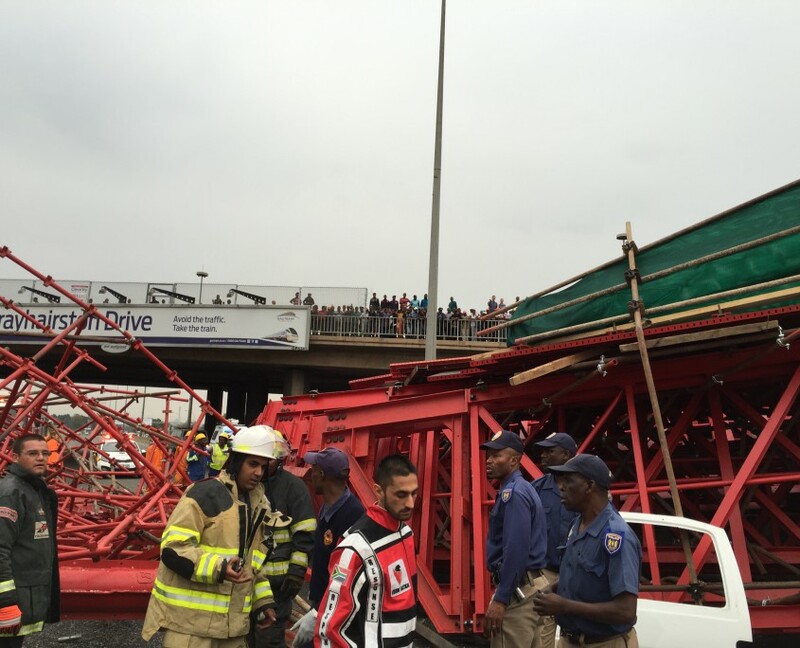 According to an eNCA report a minibus taxi was underneath it. 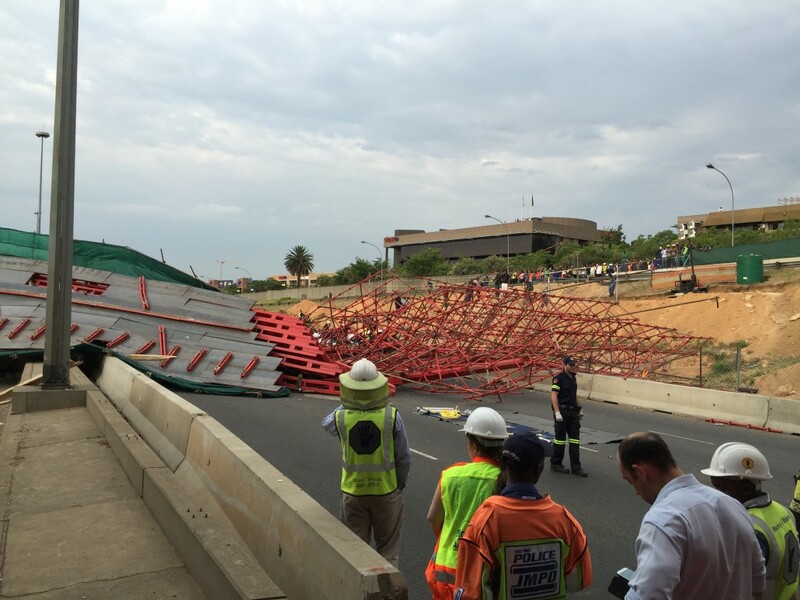 A photograph shows the red structure blocking both the north and south-bound lanes of the highway. 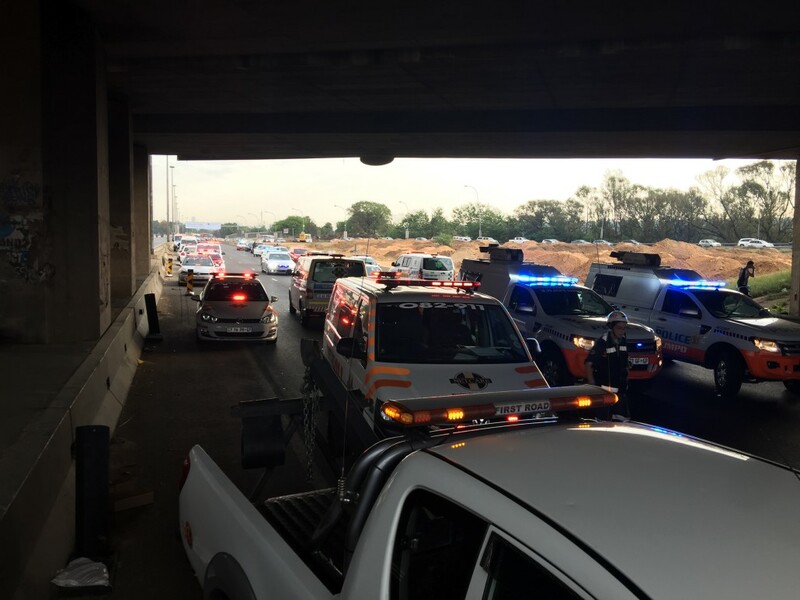 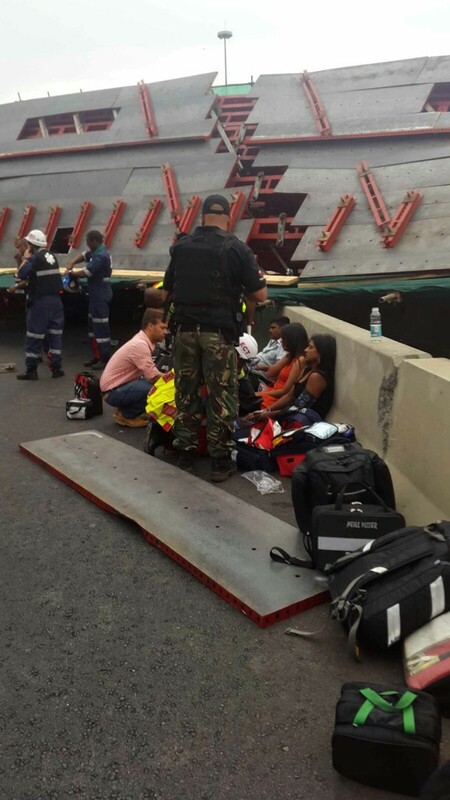 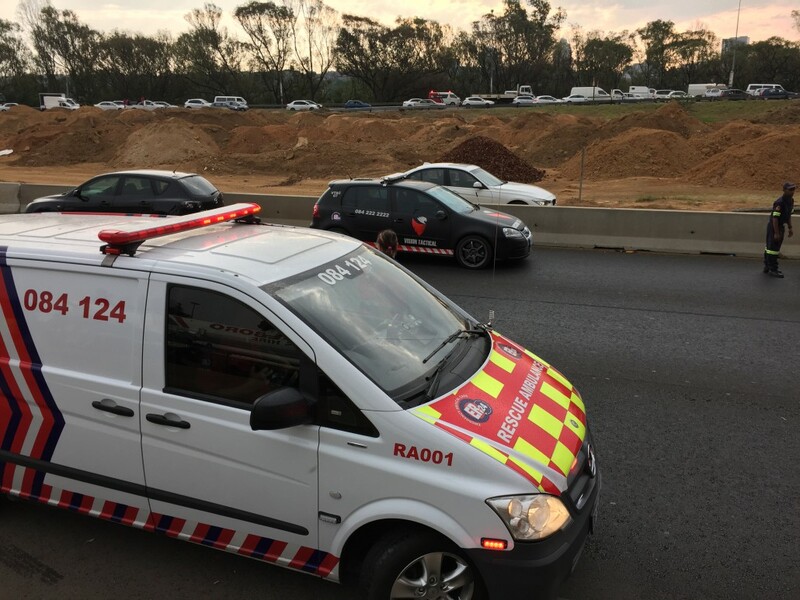 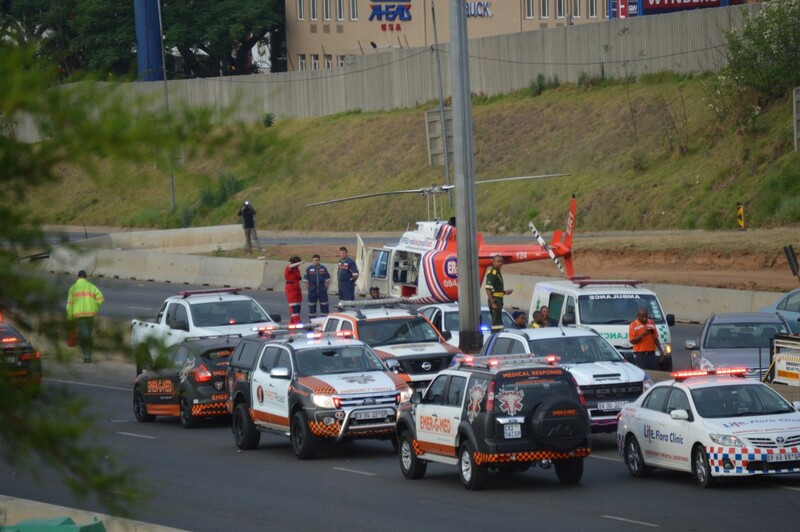 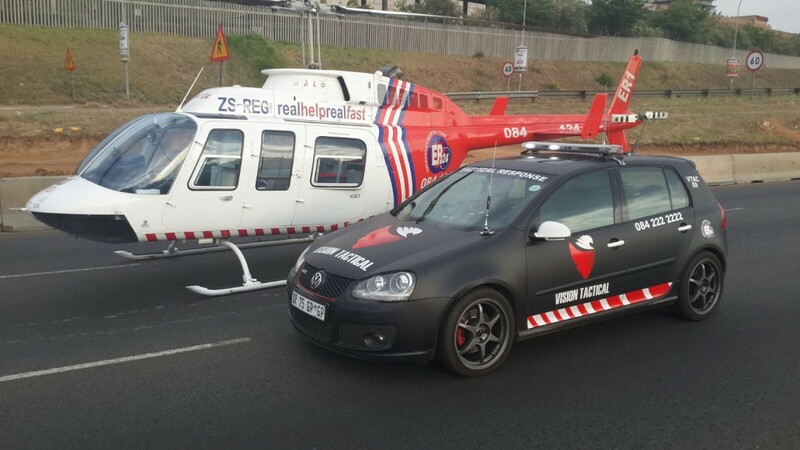 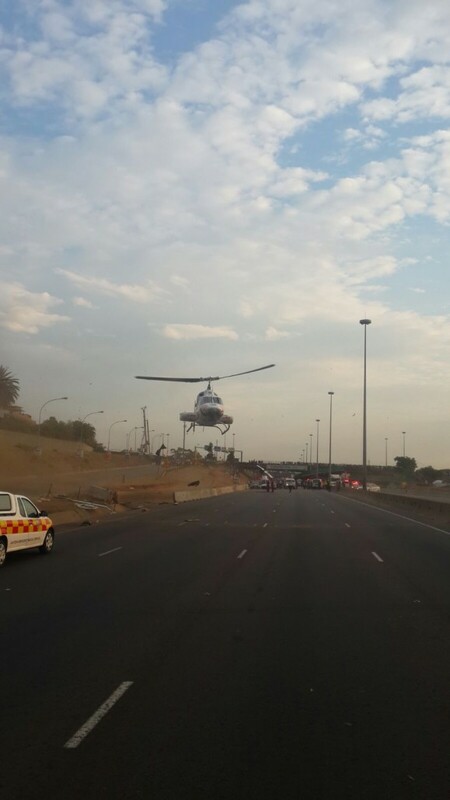 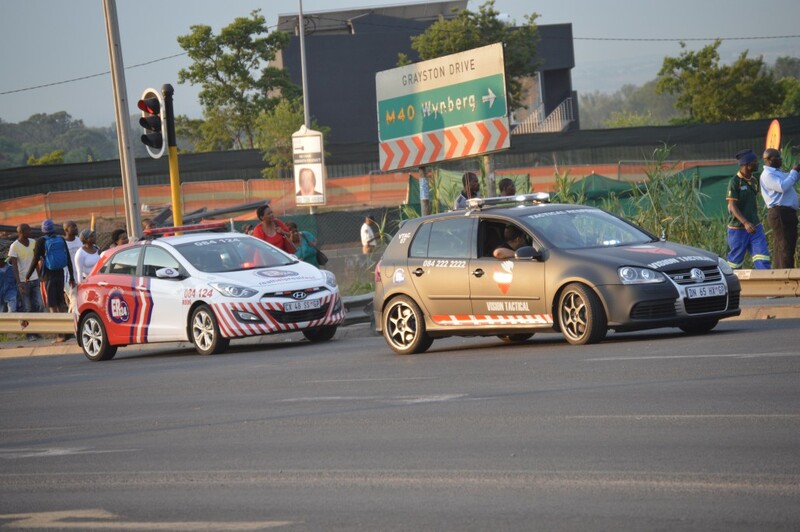 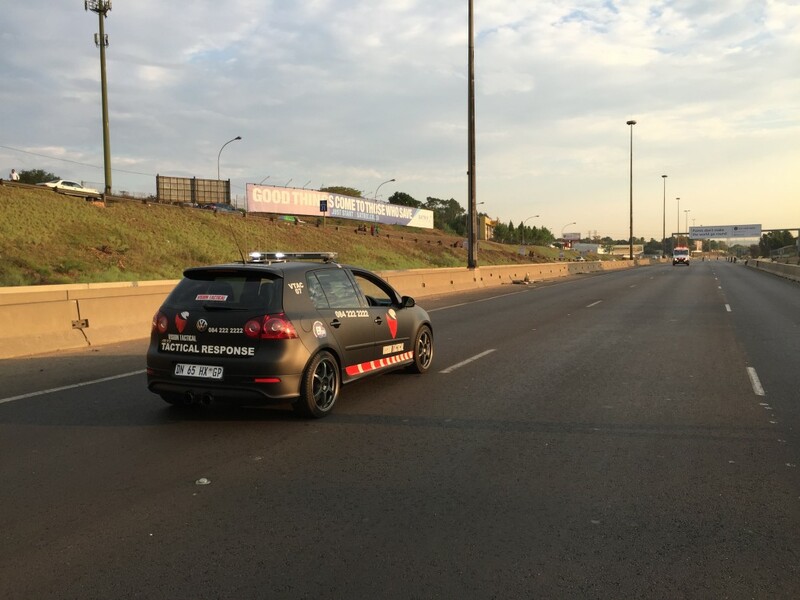 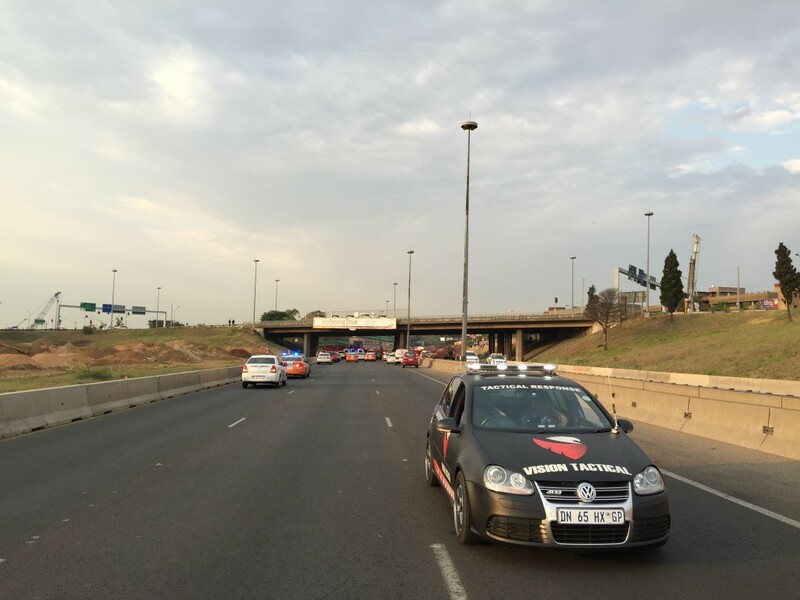 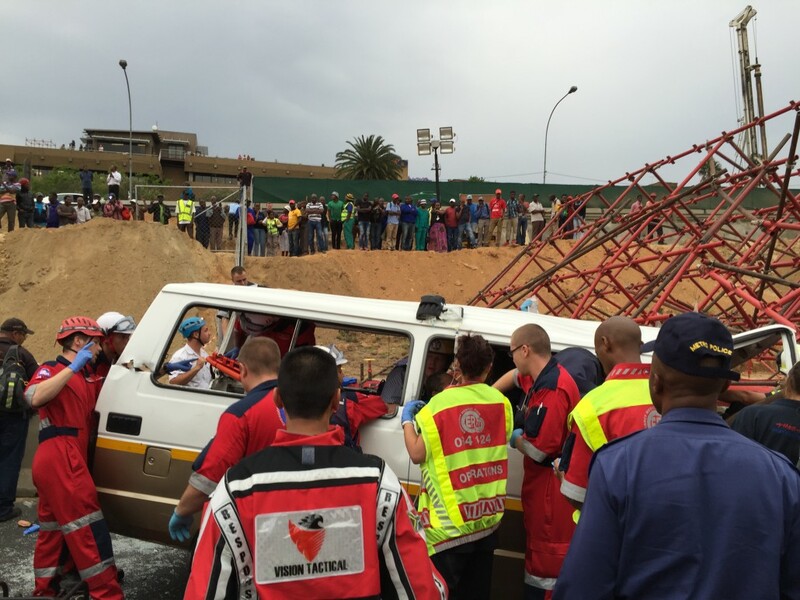 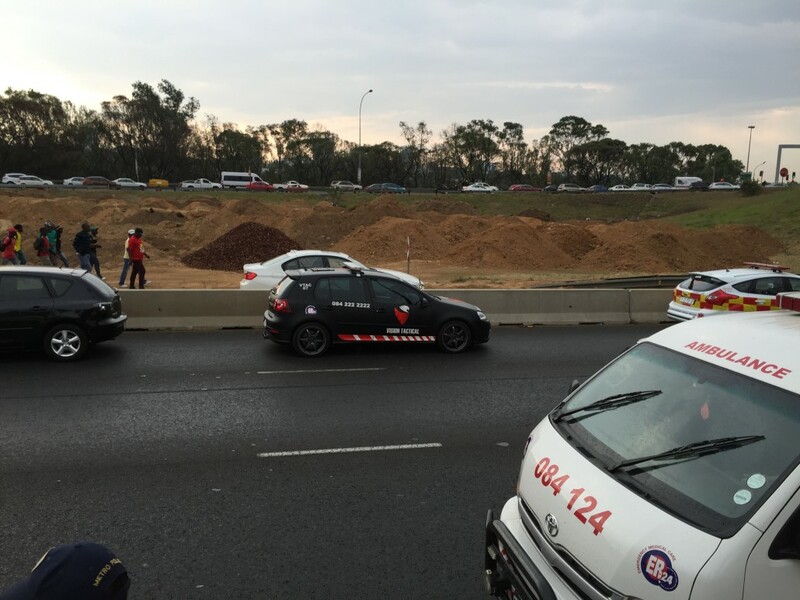 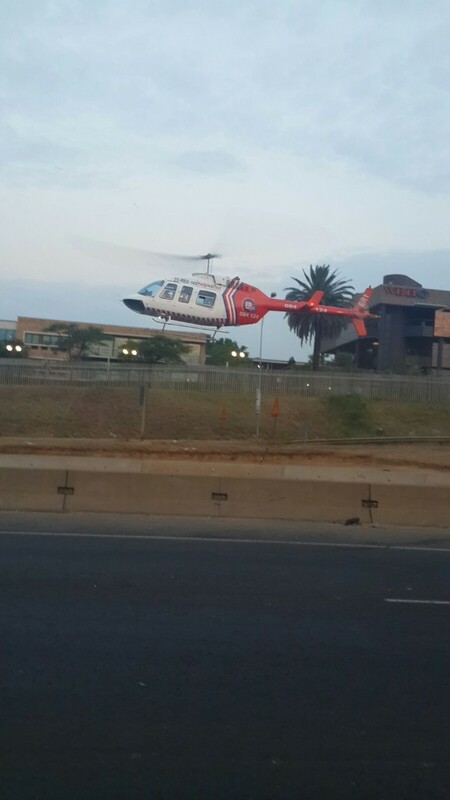 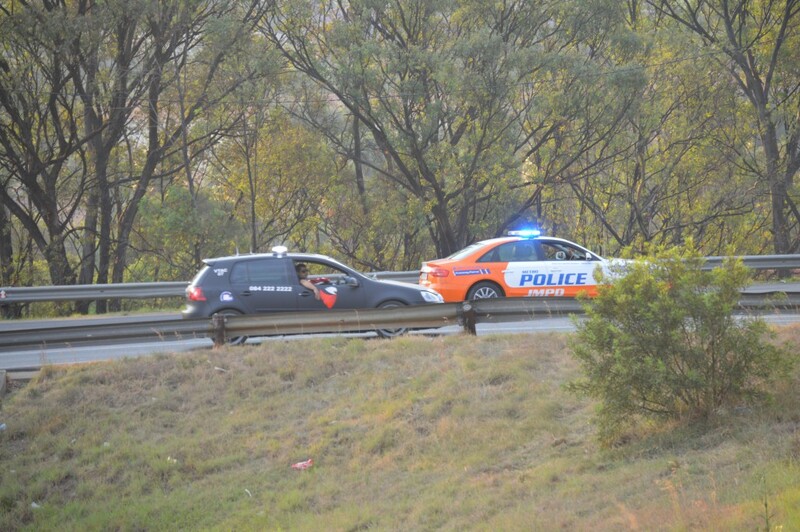 Netcare 911 spokesman Chris Botha told News24 paramedics were on the scene, and would provide information soon.